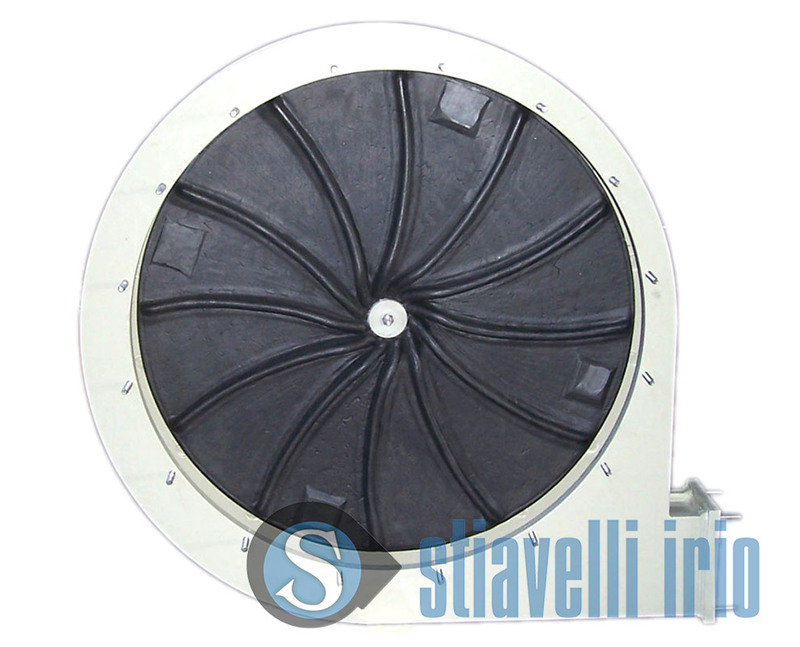 Fan suitable for oil desulphurization treatment in the industrial process of oil production. Fluid handling containing sulphuric acid. Forward-curved blades impeller, manufactured in Carbon steel with ebonite lining (ebonited). Direct drive with standard electric motor. 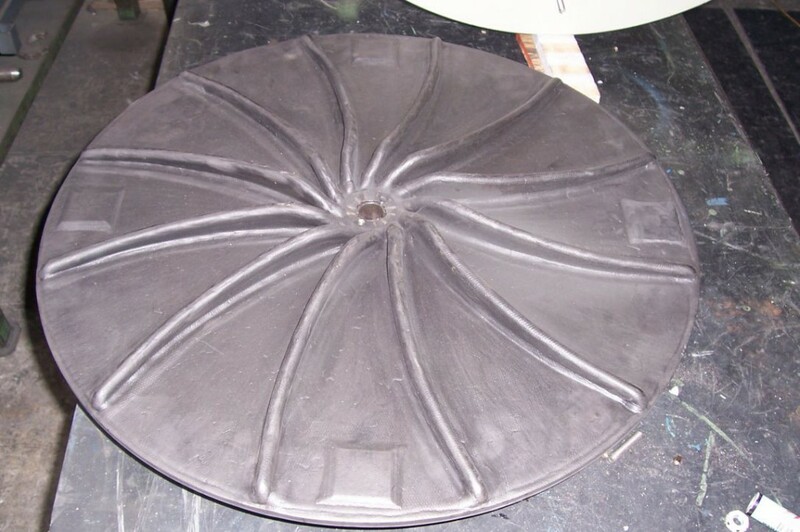 This model of industrial fan is a derivative from YK 631 R, with case in polypropylene and carbon steel impeller, subjected to an ebonite treatment; it is a process where the impeller has been completely ebonite-coated and then treated in surge tank to vulcanize the landfill. This kind of treatment let the impeller be sulphuric acid-proof. 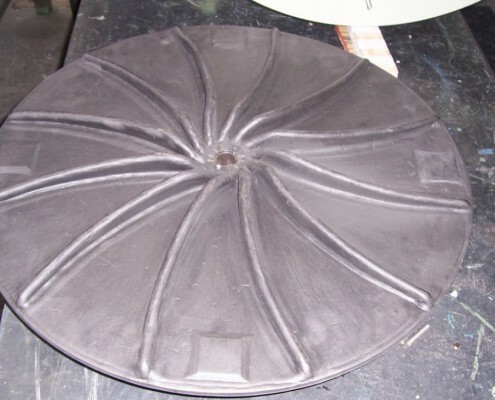 Vulcanization is an extremely accurate process because, if only a small part of the impeller is not completely clad by the rubber, the whole surface will be attacked by the acid. An Italian company, leader in oil production, requested a special design high pressure fan, strong enough to withstand sulphuric acid attack. Our solution is a polypropylene case and a “carbon steel ebonite-coated” impeller. Carbon steel structure allows good strenght (high rim speed), rubber coating ensures an acid-proof impeller. To reach a state-of-thr-art balancing, we repeated this process twice: during the first time, we balanced the impeller before the coating; the second time, we balanced the whole impeller by removing extra weight that we had expected in the construction process. 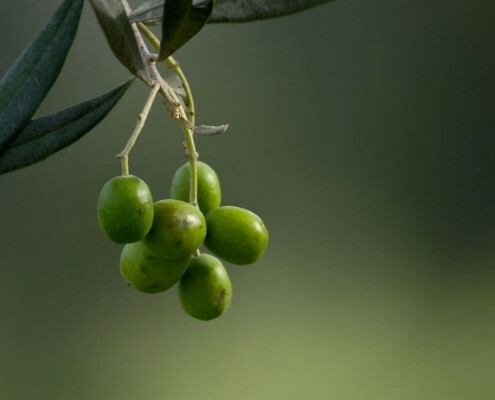 Olive oil and seeds processing, extraction and treatment. Presses, extractors and separators.